Stitch Story: Always Weave in Your Ends Securely! Always Weave in Your Ends Securely! My love of fiber creeps into all areas of my life! 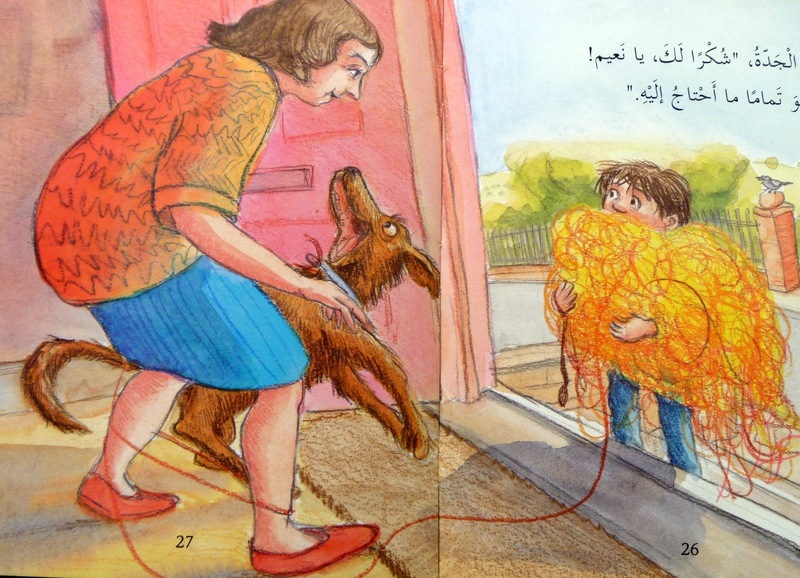 A few weeks ago, my daughter needed some new Arabic books to read, and of course great illustrations are always a selling point with us. When I saw this story, I knew we had to have it. We both laughed out loud in the store! 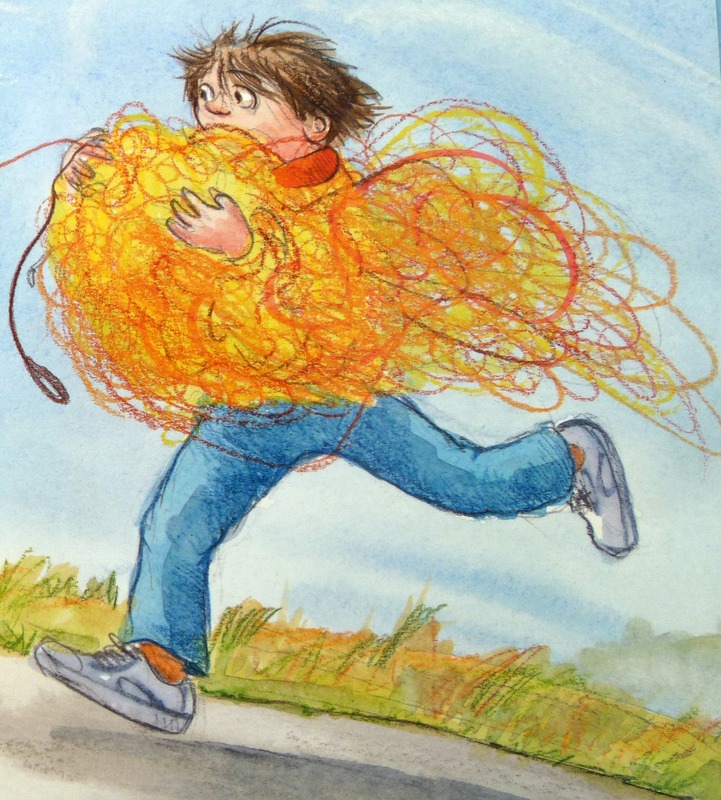 The illustrator, Mike Spoor, has done a great job of capturing what it would be like if an oversized sweater unravelled on you! Such a cute story! He shows up on his grandmother's doorstep completely unravelled. In the end she makes an oversized scarf, hat, and gloves for him. Apparently she likes knitting so much, she always makes things too big! I was thrilled to find that this story was translated into Arabic from English. The English version is available from Amazon. I am tempted to buy that version too! I will always remember these pictures when I am weaving in my ends. Every single one must be secured! I have also ordered the book "Crocheting with Lucy Loop". A story book that teaches 5-10 year olds how to crochet. I am hoping this will get my daughter excited about crocheting! There is also a review of this book on the Crochet Guild of America's blog. I can't wait to receive it, what a great way to teach a child! What fun! 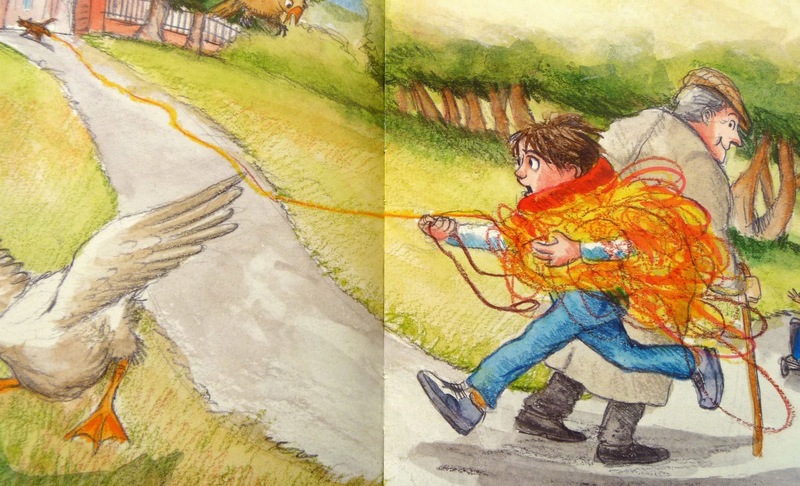 Children's books are the best kind. The Final Reveal from the Runway Crochet Book!